Every couple of years the U.S. Navy conducts a submarine exercise high above the Arctic Circle, known as ICEX. 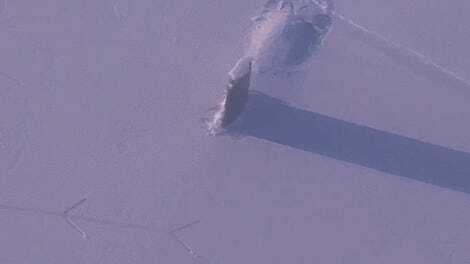 It doesn’t just feature submarines lurking underneath the polar ice caps, as creepy as that sounds. The submarines themselves also punch straight through the frozen landscape. This is what it looks like on the inside. It’s almost remarkably uneventful, with no horrendous crunching and graunching noises as the sub breaks through. 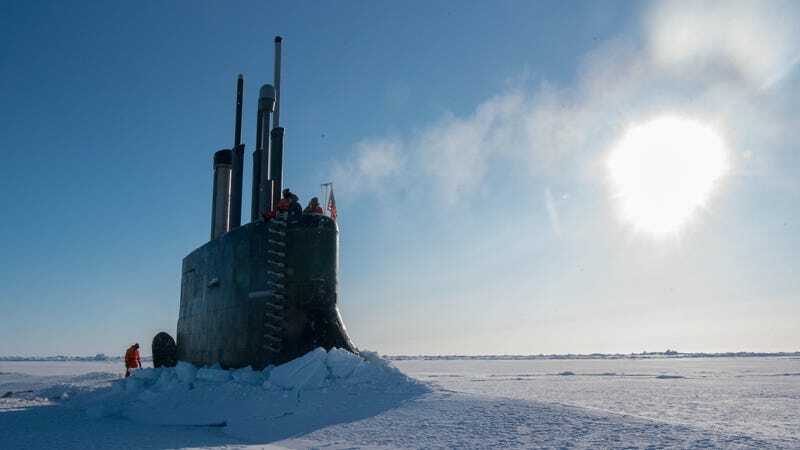 The Hartford was joined at this year’s ICEX by the USS Connecticut, a Seawolf-class attack sub, and the HMS Trenchant, a British Royal Navy submarine. But the main purpose of ICEX isn’t to pop up through the surface, take some goofy photos and videos, and call it a day. The main purpose is to practice submarine warfare below the ice, as if a shooting war ever breaks out between NATO and Russia, that’s where a lot of it may well take place. Sounds chilly. Looks chilly, too. That poor guy, identified as Constructionman 1st Class (SCW/DV) Brandon Burrow, assigned to Underwater Construction Team One (UCT 1), looks like he really just wants a hot chocolate right now.